Failure to comply with CCC regulations will lead to imported goods being detained at the border or returned to the sender. Likewise, improper use of CCC licenses or printing a CCC-mark on products without certification will also result in fines and penalties. Even if a product does not need China Compulsory Certification, problems may still arise if a customs officer demands a CCC certificate. For this reason, Clearance Certificates are recommended in order to significantly reduce the risk of import-related problems. 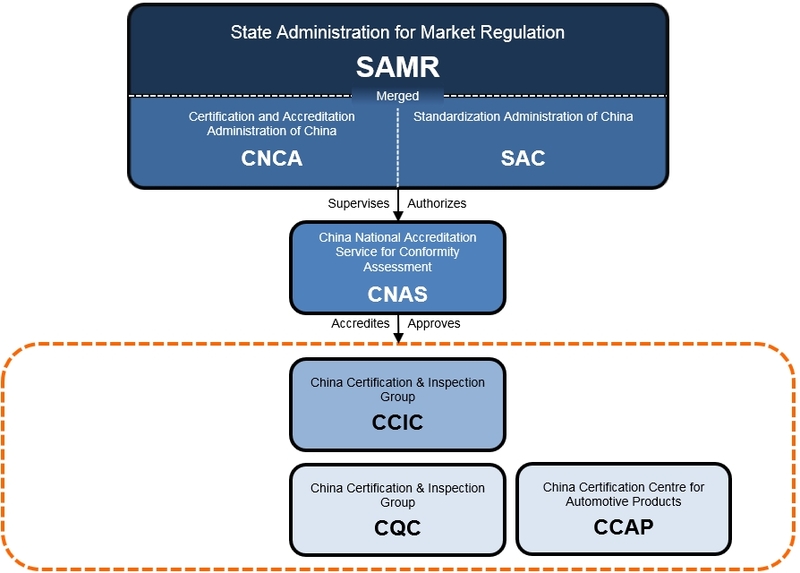 The CCC replaced the certifications of the “China Import and Export Commodity Inspection Bureau (CCIB)” and the “China Commission for Conformity Certification of Electrical Equipment (CCEE)” thereby significantly simplifying foreign trade with China and creating a “level playing field” for all market participants. However, special certificates for medical products (SFDA) and telecommunication equipment remain in place. The two most important elements of China Compulsory Certification (CCC) certification are product testing (products that are to be certified are sent to test laboratories in China) and factory audits (inspection of the product manufacturers by Chinese auditors). Once a certification is granted, it is valid for several years but must be maintained through annual follow-up audits. The CCC certification process also includes comprehensive application documents, factory preparation and various payments and fees. Through the aid of a company like China Certification, the entire process can be completed within 4-5 months; without support, the process typically requires 6-18 months. For more China CCC information, please read our free information booklet “CCC Made Easy“, which contains a special focus on certification for automotive suppliers.